If you are currently selling on Ebay, Etsy or Amazon and you want to learn how to start an online store, you are probably overwhelmed by the vast number of options at your disposal. Should I pay for an all in one shopping cart solution? Which cart is the best? Should I run my store on WordPress with an ecommerce plugin? Which plugin is the best? Should I use a free open source cart and host my own website? Which free solution is the best? There are literally hundreds of different options to choose from in terms of website builders, shopping carts, services etc… And it’s a big decision because it carries long term implications for your business. Once you make a choice, it’s a pain to switch. This article will give you an overview of the different shopping cart options out there and provide you with recommendations depending on your specific needs and skill set. None of these require any technical experience. You’ve Given Me Too Many Choices. What Should I Choose? First off, I want to dispel the misconception that you need to spend thousands of dollars to put up a good looking ecommerce website. For example, there are many fully featured open source shopping cart software packages out there that are completely free. In fact, if you are comfortable with a computer, you can launch a fully featured shopping cart for less than 5 dollars per month. Incidentally, this is the exact route my wife and I took to start our ecommerce store. Because I was on a major budget early on, I ran my online store on a free open source platform and spent only $5/month for the first 2 years. (I’ll show you how to do this later on in this post). Today, this store generates over 7 figures per year and I’m still on the exact same free platform that I started with. Anyway, my point is that none of the solutions that I will be recommending to you today will cost very much money. And there are 7, 8 and 9 figure businesses running on these platforms today. Do I have your attention yet? Ok, here are your 3 main options. 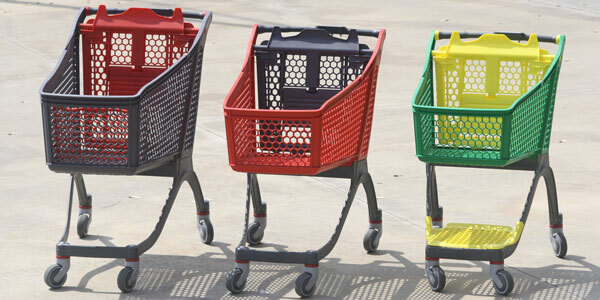 Free Open Source Shopping Cart – With this option, the source code for your shopping cart is provided to you at no cost but you must host it yourself on a computer server that you manage. This is by far the cheapest solution available but requires some work on your part to maintain. Regardless, you do not need to know how to code but it does help to have some technical knowledge. Fully Hosted Shopping Cart – This is the easiest and most straightforward solution available. By paying a A 3rd party company, they will handle everything for you including managing your shopping cart, hosting your website, maintaining your servers etc… You literally don’t need to worry about anything in regards to keeping your website up and running. WordPress Based Shopping Cart – If you are already familiar with WordPress or own a WordPress site, then it might make sense to run your store on WordPress. Open source software is software that is maintained by a small group or community and the beauty is that anyone can use it for free! Linux is probably the most famous example and there are many open source shopping carts available that you can download at zero cost! The main advantage with an open source shopping cart is that you aren’t tied down to a specific company or service provider. You can take your store wherever you want and you pay absolutely nothing. Going with an open source platform is a lot like owning an unlocked cell phone. You are free to use any carrier that you want but you own the phone and it is free. The other huge benefit is that you are in 100% control of the source code (ie, you own the phone and all the tech). As a result, if you need to add special functionality that is very specific to your shop, you can either implement it yourself or hire a developer. In other words, going open source means that you are the boss. No one will be able to change the terms and conditions. No one will be able to kick you off or raise prices on you. Over the years, I’ve played around with many open source shopping carts including Open Cart, Prestashop and Magento but my favorite one by far is Open Cart. Not only is it easy to use, stable and fast but it has also has a great developer community as well. Did I also mention that it’s free:)? OpenCart is an incredibly feature rich shopping cart that is fast, easy to use and has a very modern looking feel to it. What I like about OpenCart is the backend administration interface which is simple and intuitive. In addition, there are a ton of companies and independent developers that are very active in developing website templates, themes and plugins. The downside to OpenCart is that if you need additional functionality that OpenCart doesn’t offer out of the box, you have to purchase and install your own plugins. But overall, the out of the box features should be more than adequate for most users. 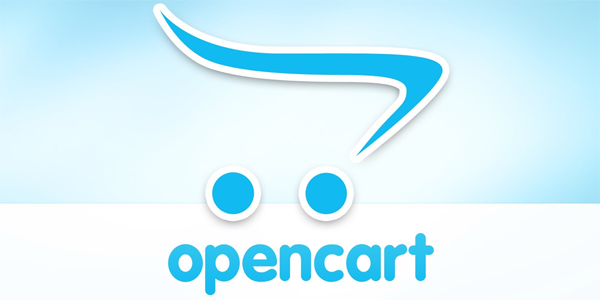 In addition, OpenCart is one of the easiest shopping carts to install and get running right away. Why? It’s because most if not all webhosts offer a one click installer right from the CPanel interface. You pretty much just have to click on the Simple Scripts installer and voila, you are ready to go. In fact, I put together a quick 5 minute video tutorial that shows exactly how to get started with Open Cart. If you can follow the directions in the video below, then you are tech savvy enough to use a free open source shopping cart! 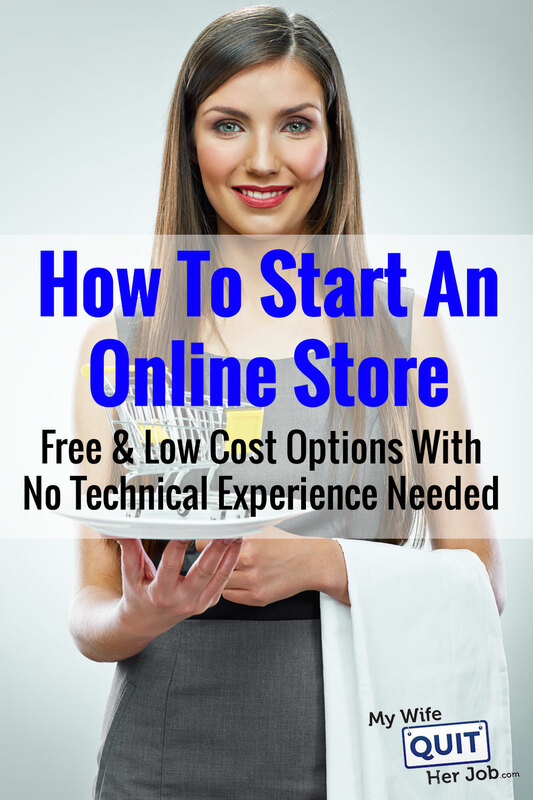 Note: The instructions in this video will teach you how to setup a fully functional online store on Siteground Hosting, a web host that I recommend for new shop owners. I also negotiated a discount off of the regular price of Siteground for MyWifeQuitHerJob.com readers (Only $3.95/month). You can redeem the discount by clicking here or any Siteground link on my blog. The main downside of using an open source platform is that you are the boss and being in control of your own platform is a double edged sword. For example, you have to manage your own server. You have to make sure your site doesn’t go down. You must keep your shopping cart up to date. And if anything goes wrong, you are responsible for finding the solution. In other words, you have to be resourceful. You have to be a good problem solver. Because eventually, something will go wrong. Over the years, I’ve come to realize that using an open source ecommerce solution and self-hosting may not be the right solution for everyone. Some people just don’t feel comfortable installing or tweaking their own website let alone modifying an open source shopping cart. One time, I tried to help a coworker of mine launch her online store using OpenCart. Unfortunately, she didn’t possess the basic knowledge to even make simple edits to her store and had to ask for help for every little change. Ultimately, I had her go with a fully hosted solution because of the added support. While open source shopping carts are free, flexible and powerful, you have to decide whether your time is better utilized on marketing and sales as opposed to website management. If you have the budget and you don’t want to deal with the hassle of managing your website, then it often makes sense to pay a company to run your shopping cart for you. And a fully hosted shopping cart platform like Shopify or BigCommerce basically does everything. In other words, you are paying for convenience. While I usually advise that everyone who is interested in opening an online store give open source a try and host their own website, some people require a little extra hand holding in order to get started with their online business. As a result, it makes sense for certain entrepreneurs to go with a fully hosted shopping cart for peace of mind. Some of you don’t want to go through the trouble of setting everything up and want everything to just work out of the box. Some of you would rather focus on marketing and sales rather than tinker with your website. In my experience, 85% of you should probably pay the extra money and go with a fully hosted platform unless you are comfortable with technology. In fact, there are many advantages of going with a fully hosted ecommerce platform that may not be too obvious right off the bat. You have someone there to help. Going the open source route can be a lonely endeavor. Basically, you must be a self-learner and know how to use the forums effectively. But with a fully hosted cart, you can usually get someone on the phone within a few minutes. I’ve spent a lot of time these past few years test driving fully hosted shopping carts and I’ve found that both Shopify and BigCommerce offer an awesome hosted shopping cart solution for a low monthly fee. The number one concern most of you probably have is whether you’ll be able to design a good looking website without hiring a designer. And I’m happy to say that both BigCommerce and Shopify make it super easy to create a professional looking site. BigCommerce for example offers an intuitive drag and drop interface where you can shuffle things around with your store at the click of a button. Both Shopify and BigCommerce also offer a pretty good library of standard templates for you to start out with. All in all, you can throw up a decent looking store within a matter of minutes without knowing a lick of HTML. Their back end features and tracking are also top notch and there’s built in support for many popular 3rd party apps and integrations to your favorite marketing tools and social media sites like Facebook and Pinterest. 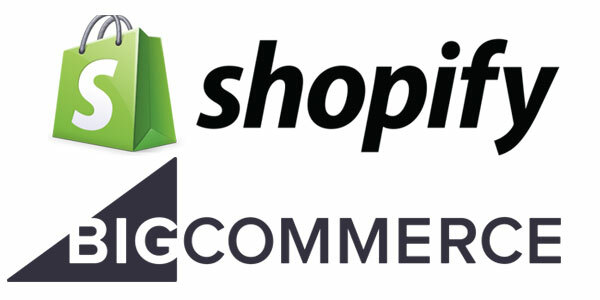 That being said, both Shopify and BigCommerce each have their own pros and cons. If you are trying to decide between the two, I wrote a very detailed comparison that you can check out below. All of the benefits of a fully hosted platform come at an increased cost and you sacrifice some amount of control over your site. For example, both Shopify and BigCommerce have raised their prices over the years and are constantly changing their policies. If you want to sell anything remotely controversial like hemp related products, some fully hosted platforms will shut you down. Recently, a friend of mine got kicked off of Shopify for selling CBD products. The costs of a fully hosted platform can quickly add up as well and you can’t judge the overall cost based on the base price alone. For example, many of Shopify’s plugins carry a monthly fee that must be factored into the equation. To give you a rough idea, my wife and I pay just $100 a month to host our 7 figure ecommerce store along with 6 other websites on the same webhost. If we went with Shopify or BigCommerce, we would easily be paying $500 or more for the exact same features. Once again, if you are willing to put in the work and learn the ropes, then hosting your website yourself is almost always the most flexible and economical choice. But if you want to skip the early headaches and just start selling, then fully hosted could be for you. First off, you should only consider running your store on WordPress if you already have a WordPress blog and you want to add ecommerce functionality to it. After all, WordPress was not designed for ecommerce out of the box. As a result, any ecommerce plugins that you bolt onto it will not be very efficient. For example, ecommerce stores that run on WordPress often require more expensive hosting to maintain a fast website. In addition, WordPress updates itself every 3-6 months and it can be quite cumbersome to make sure nothing breaks. Even for my blog, I cross my fingers every time I hit the upgrade button. It’s like playing russian roulette. That being said, if you already have a popular blog on WordPress, then it often makes sense to host your online store on the same platform. For WordPress sites, I recommend the WooCommerce plugin. If you are on a fast WordPress hosting service like WPEngine, then going with a popular plugin like WooCommerce will provide you with the most flexibility. But overall, I don’t prefer running an online store on WordPress unless I need a WordPress blog. Unfortunately, only you can answer that question. I’ve already narrowed down the field from hundreds to just a handful of shopping carts for you. Most if not all of these shopping carts can provide you with a free test drive of the front and back end of the storefront as well. Do your own due diligence and run through the features of each cart to determine what you need. I would naturally start with one of the open source shopping cart options that I’ve recommended because they are free. In addition, you have full control over the source code of your shopping cart and can add new features at any time. Open Cart, the open source shopping cart I recommend, has a strong developer community that is constantly adding new plugins and additional functionality for free. If coding or installation is way over your head, then I would then look at some of the paid options that I mentioned above like Shopify and BigCommerce. Again, keep in mind that once you choose a shopping cart, it is extremely hard to migrate to another platform. Plus, the fees with respect to fully hosted solutions may seem small at first but substantially increase once your store kicks into high gear. Editor’s Note: I’m often asked about Wix, Squarespace, Weebly and other super cheap fully hosted shopping cart solutions. While these platforms are ok for a very basic shop, they lack extensibility and integration to important and crucial 3rd party services. As a result, you will outgrow these cheap services quickly as your store grows. To sum things up, if you don’t want to deal with any website management and want to focus on selling your products, then go with either Big Commerce or Shopify. Here’s a quick comparison table. If you are willing to learn how to manage your own site and be in full control, then consider using Open Cart which is free. Even though I would not advise anyone use OsCommerce today, my trusty open source shopping cart powers a 7 figure ecommerce business and is equally as powerful as a fully hosted platform like Shopify or BigCommerce. If I were to do it all over again, I would probably go with OpenCart. If I wasn’t around to manage my cart, and my wife was the only person running our store, I’d probably go with Shopify or BigCommerce. Overall, you have to decide where you want to spend your time and whether the cost savings and control are worth it. Good luck! I must admit that I was a bit intimidated by your last tutorial because of all of the text based commands. This one is much simpler so I’ll give it a shot. This is great. Really needed this, as I have be wanting to start an online store. I sell on Ebay and I’m about to quit because of all those fees, expecially now that Ebay takes a % of the shipping cost. Thanks! Massive massive help for a novice like me- Thank you. Stupid question but how does this cart accept payments? Does each payment type need to be added separately e.g. credit cards, PayPal etc. only interested in PayPal at the moment. I’ll be covering this in the next video, but the short answer is that setting up different payment types is very easy and all built in to the cart. I will watching after this comment, thanks for your effort. So Open Cart is completely free to use?? It seems crazy that anyone would pay for ecommerce software when they can download it free here. Are there any features or functionality that Open Cart does NOT offer, where other (paying) sites do? OpenCart is analogous to Linux on a much smaller scale. Linux is very powerful, free and most webservers use it. The same goes for OpenCart. There are some features that OpenCart lack that the higher paid carts have and it is up to you to determine which features are necessary for your shop. I’ve been running open source software for my shop for the past 4+ years and saved a lot of money as a result. Plus, I have full control over every single feature and can made custom edits where I deem necessary. The biggest downside of OpenCart when compared to paid ECommerce is that it is easier for hackers to take down your website because it is open source. I’m not trying to sell anything by the way but something that you should keep in mind. While there is some amount of truth to that statement, it should not be a deterrent to open source. Linux has millions of users worldwide. WordPress is the most popular blogging platform out there and it is open source. One of the major advantages of going open source is that you have full control over your website so you can make any changes that you want and need to make. If you go with paid ecommerce, you are once again at the mercy of the software makers and the platform. Most people who get hacked do so because of insecure passwords and/or their PCs getting hacked which in turn exposes their website. I actually really enjoy the technical articles that you wrote. I want to know how to track customers that add items into the cart, and then abandon it without converting it to a sale. It will help me to improve my website and get a higher conversion rate. Can you show me how to do it in Open Cart? There is a plugin called visitor tracker that can be used for this purpose. Check it out by doing a google search for it. Very helpful post. This is a welcome treat for those who want to set up an online business but are worried they don’t have enough know-how. I just spent most of the 4-day weekend trying to figure out how to make this happen. It’s a lot of guessing before you actually go forward and hit the ‘okay’ button to turn everything in your business on its head — now I feel confident to go forward to the next step. I didn’t want to take it until I could follow-up with the step after! I just viewed half of the video. I have a meeting in a little while. Anyway, your video is great. The audio is very clear and the presentation went on well. 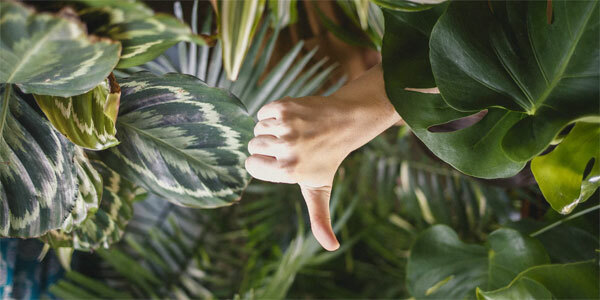 Two thumbs up mate! This blog is great! I’m amazed at how closely your story mirrors our own – we’re on the same path; my wife quit her job after our first child and now we’re building our online store. Keep up the good work, it seems like every post is either something we’re going through, or a light bulb for something we need to consider. in making an online store there are lot to be consider, but to do it in an easy way, i suggest you to use magento the top 10 best SEO shopping Cart. Are you able to change the look of your storefront with bluehost? Or is that something extra that needs to be added on? You can change the look and feel of your storefront by installing different themes or templates. Do a search for OpenCart templates and you’ll know what I mean. Pingback: How To Evaluate A Dropship Store For Purchase – Would You Buy This Website For 2000 Dollars? Open Cart is not on the list, the only options are OSCommerce, Presta Shop and Zen Cart. Which one do I choose? This is the list that I see from my bluehost account. Steve, Thanks for the fast reply. I copied everything that is listed under simple scripts. I guess I did something wrong because I still don’t have as many options as you showed. I will keep at it until I figure it out. Great job on the videos, I hope to get this fixed and running because I am a single mother of 5…ages 16 years-3 weeks and I need income! Spice up your blog, instantly! I’m not sure who you contacted at Bluehost, but they still support OpenCart with simple scripts. I just confirmed it. Dumb question. Are you on Bluehost? Every webhost will be different. If you are on Bluehost, then I have no idea why you don’t have the full suite of shopping carts. Can you email them and ask why? Great post! It’s always nice to find helpful and amazing blogs. Hi Steve, The video up to top is running and your picture video is in the lower right hand corner. Can you tell me what program you are using. Or how did you do that? I am thinking to start a web site to sell some stuff but I think I will need a web site designer or perhaps I can do it myself? If I can, could you tell me how? And I will need permits and pay tax for an ONLINE store? Another idea is start in Facebook, creating a page with the products ( I will save in web site) I just have to figure it out the shipping part because my idea is start selling stuff to friends out of the country. What do you think? I will appreciate your response. I have a product that I want to sell but i have to refine it quite .Do You know how I can improve it or send it to refine without that someone steal the idea? I signed up for Bluehost and am trying to find opencart but the options you talked about on the video are not there. You said to scroll down to software services, then simple scripts then I should see open cart but I can’t even find simple scripts. -Under E-commerce you’ll find Open Cart…. :-) This is where I’m at right now. All the Best. Cheers. Just landed to this blog from the link of Amy Lynn Andrews and I have just signed up for subscription. I am impressed of your experiences in blogging lifestyle. Thanks a lot. I am new to blogging and you are one of the bloggers that give me an encouragement to press on. I added opencart to my bluehost site (I am using weebly to build my site). When I go to view my site there is no shopping cart there even though my control panel says its installed. What am I doing wrong? It took 5 days to transfer my domain from my previous webhost and at that time it told me I couldn’t use it yet but now it says it’s installed yet I see nothing. I will be in Italy soon. Is there a problem doing your program fro there? Besides time issue. When starting out, should your niche be something you are knowlegable and /or passionate about. Or just something that we know we can flip? This was a great tutorial. I am definitely going to check your website for more videos. Thanks for the effort. I am researching on how to start my own web shop.I find your video really interesting.That is so true that doing business online is not a big deal nowadays. I have built a website registerd my bussiness and have found some investers too who are ready to invest millions for my bussiness. I am wondering what should be terms and conditions for suppliers to sell on my website. And what should be standard selling fee. I will suggest you to get technical knowledge first, it will give you more profit rather you hurry in selling your website. Thank you for your article. This really full of information. If you want more information please visit our website.You can order latest electronics, digital home tools, business accessories, store mall sports, sporting goods, automotive clothes, pet supplies Visit. Hey Thank you For Nice Work. I have visited many sites but i didn’t get any such type of information, now from your that post i will surely make a bookmark of your website. Thanks for this article. i have create a websites as your guide and this is very helpful for me to create my own website. Hello, I just wanted to tell you, I Agree. Your blog Very good for reading. helpful for me to create my own website. I saw this website its amazing quality content here, Thanks for this information. Awesome, thanks for sharing and keep on sharing the good stuff. Thanks for sharing amazing post here. Is there a plugin to open cart that will pull/sync all of your eBay listings. If not do you know of a WordPress theme that will do this? Thanks for the infos.It is very useful. I sell stuff I don’t need anymore in good conditions . Really cheap prices email me if your looking for something in special. How ‘friendly’ are OpenCart, Shopify, and Big Commerce to integration with a WordPress site that has a store as an add-on to a blog/news site? Can the store graphics and layout be customized to match the rest of the WP site? 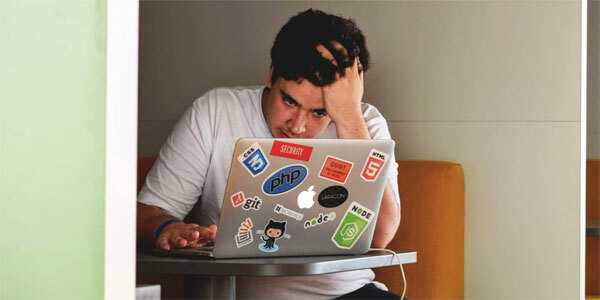 As you mentioned, I’ve found the hassles of regular updates of WooCommerce to be painful so have wondered if an off-site hosting to the store function would be more dependable with fewer headaches. You can easily make OpenCart, Shopify or Bigcommerce use the same theme as your wordpress site. However, Shopify and BC will not be friendly in that the store will have to be on a subdomain. Hi! Consider migrating to the Ecwid plugin. Ecwid can adapt store colors & styles to your website theme automatically. Your store will look like a natural part of your website, and you won’t have to host it off-site. i like your blog you discussed good thinks about your blog your strategy is awesome i am satisfied to see your blog you wrote awesome blog go ahead. This is a really useful post. Thank you. I’m in the process of publishing and selling an ebook, and I was thinking of using shopify or Paypal. Thanks, Steve thank you for sharing with us. This blog can be helpful for me to start an online e-commerce store. We all respect your blog. This is a great post, thanks Steve. Now, I’m thinking about trying out open cart. But if I want to blog as well as sell, can this be done on open cart or do I need to install something on it? Frankly I was turned off with your course when 2 pop ups dropped down in the first paragraph I was trying to read. I think the thing I need to do is find someone with a website (among friends and groups I belong to) and seek their help.